Car Title Loans in Florida > resources > What’s so Bad About Bad Credit? 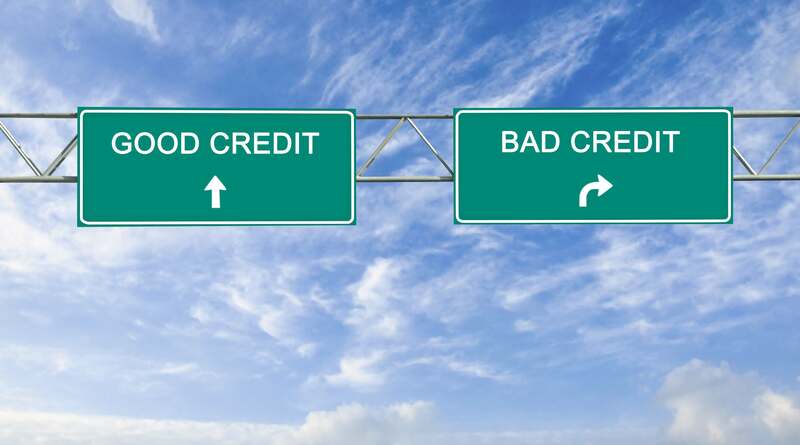 What's so bad about bad credit? Your credit score is determined by many factors. It is calculated from the amount of money you owe through loans, the amount of credit you have in the form of credit cards and other loans, the length of your credit history, and your payment history. A bad credit score can affect many areas of your life, from strategizing career moves, buying a home, or even getting married. Here are some consequences of having a bad credit score. Loan vendors will want to minimize their risk of lending money to delinquent customers. As a result, they may charge higher interest rates to people with bad credit scores. For large loans such as mortgages, the difference between one or two points in the interest rate can mean an extra few thousand dollars or more of interest of the lifetime of the loan. It will mean an extra fifty or five hundred dollars a month of loan payment. If you credit score is bad enough, you may find that you are unable to obtain approval for any credit card or loan. You will not be able to take advance of advantages such as reward points and travel miles. You will not have a credit card or loan to fall back on in case of emergencies, such as unexpected medical bills or car repairs. In desperate times, you might have to ask friends and family for money, which can be detrimental to your relationships. It is common practice for landlords or real estate agents to run identity and credit check on potential tenants. Landlords will always prefer to rent to tenants with a proven track history of paying their debt on time. With a bad credit score, you may have trouble convincing landlords to rent an apartment to you when there are many other applicants with pristine credit scores looking at the same apartment. Even if someone is willing to rent their apartment to you, you may be asked to put down a bigger deposit of up to 6 months rent to decrease the risk to the landlord. Utility companies will run a credit check on you before approving of your application. If you have a bad credit score, you may be required to pay a security deposit in order to enroll in their services. The amount of these security deposits may run up to several hundred dollars a month. If you need the services of several utility companies, such as internet, cable, electricity, and gas, having to make multiple security deposits can greatly decrease your cash flow. Love should be the cornerstone of all marriages. But one must remember that when you marry someone, you are also combining finances. A bad credit score in one partner can hinder the ability to make financial moves together as a couple. For example, if a couple wants to apply for a mortgage to purchase a home, lenders will often use the lower credit score or average the two credit scores to determine mortgage rates. As unromantic as it sounds, people who are bothered by this may be deterred from marrying someone with a bad credit score. Financial disagreement and incompatibility is a leading cause of failed marriages. When it comes to bad credit, love may not always prevail. Whether it is health insurance, car insurance, home insurance, or life insurance, you will be charged higher premiums than people with excellent credit scores. Over time, you will end up paying more for insurance for the same coverage than someone with a good credit score, even if you have not filed any claims. If you want to become an entrepreneur and start your own business, you will likely need to take out a business loan unless you have enough money to pay for everything in cash. The bank will run a credit check on you, as with any loan vendor. A bad credit score can result in rejection of your application for a loan. This is one example of how a bad credit score takes away your ability to make strategic career moves. If it is your childhood dream to open up a coffee shop in your neighborhood, a bad credit score can rob you of the financial means to do so. Unfortunately, even though a well paying job and a steady stream of income is necessary for you to start repaying your debt and improving your credit score, having a bad credit score may prevent you from getting a job. Employers often check the credit scores of their job applications. A good credit score is an indicator of financial responsibility and maturity, which are qualities employers look for. A bad credit score can signal to employers that the job applicant has a tendency to make poor decisions. While it is illegal for lenders to harass or threaten delinquent borrowers, it is common practice for loans to be handled by debt collectors who make persistent phone calls. Money does not grow on trees, but money can be generated passively through wise investments. Having a bad credit score deprives you of the opportunities to invest your money wisely or to make major financial maneuvers. Having a higher interest rate can make the difference between being able to afford a mortgage or not. As you can see, a bad credit score can really hold you back financially and even socially. That is why it is important to settle any overdue loan payments, even if it means paying an extra $10 a month.